Copyright © 2006-2007 by the Authors. This document is available under the W3C Document License. See the W3C Intellectual Rights Notice and Legal Disclaimers for additional information. OWL 1.1 extends the W3C OWL Web Ontology Language with a small but useful set of features that have been requested by users, for which effective reasoning algorithms are now available, and that OWL tool developers are willing to support. The new features include extra syntactic sugar, additional property and qualified cardinality constructors, extended datatype support, simple metamodelling, and extended annotations. This document provides a mapping from the functional-style syntax of OWL 1.1 to the RDF exchange syntax for OWL 1.1, and vice versa. This is an editor's draft, for comment by the OWL community. This document is an evolution of the OWL 1.1 Web Ontology Language: Mapping to RDF Graphs document that forms part of the OWL 1.1 Web Ontology Language W3C Member Submission. Comments are welcome. Please send feedback to public-owl-dev@w3.org, which has a public archive. Bug reports can be directed there. Please check the issues list first. This document provides a mapping from the functional-style syntax of OWL 1.1 as given in [ OWL 1.1 Specification ] to the RDF exchange syntax for OWL 1.1 and vice versa. Every OWL 1.1 ontology can be serialized in RDF, so every OWL 1.1 ontology in RDF is a valid OWL Full ontology. The RDF syntax of OWL 1.1 is backwards-compatible with OWL DL, this is, every OWL DL ontology in RDF is a valid OWL 1.1 ontology. The semantics OWL 1.1 is defined for ontologies in the functional-style syntax. 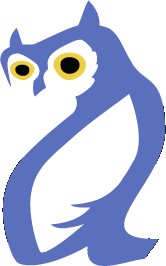 OWL 1.1 ontologies serialized in RDF/XML are interpreted by translating them into the functional-style syntax and applying the OWL 1.1 semantics [ OWL 1.1 Semantics ]. The syntax for triples used here is the one used in the RDF Semantics document. Full URIs are abbreviated using namespaces as usual. T(SEQ y1 ... yn) denotes the encoding of an RDF list as shown in Table 1. As explained in [ OWL 1.1 Specification ], OWL 1.1 syntax is fully typed -- that is, from the syntax, one can immediately see what is the intendend usage of some symbol. OWL 1.0 syntax is not typed; rather, OWL 1.0 relies on explicit statements that determine the type of each URI. For backwards compatibility, OWL 1.1 uses OWL 1.0 vocabulary whenever there is no ambiguity. This is made precise using the following definition. if the parse tree of O contains S under a individualURI node, then owl11:Individual ∈ Type(S,O). OnlyAP(S) is true if and only if owl:AnnotationProperty ∈ Type(S,O) and owl:ObjectProperty and owl:DatatypeProperty are not in Type(S,O). RANGE[dp] expands to rdfs:range if OnlyDP(dp) = true, and to owl11:dataPropertyRange otherwise. Table 2 presents the operator T that translates an OWL 1.1 ontology in functional-style syntax into a set of RDF triples. This table does not consider axioms with annotations. This section specifies how to translate a set of RDF triples G into an OWL 1.1 ontology in functional-style syntax O, if possible. The function Type(x) assigns a set of types to each resource node x in G (in this and all other definitions, the graph G is implicitly understood and is not specified explicitly) and is defined as the smallest set satisfying the conditions from Table 3. ...then Type(x) must contain this URI. OnlyAP(x) is true if and only if owl:AnnotationProperty ∈ Type(x) and owl:ObjectProperty and owl:DatatypeProperty are not in Type(x). DESC(x) assigns to x a description. These functions are defined inductively by the following conditions. For the induction to correctly defined, it should be possible to order all resource nodes in G such that there are no cyclic dependencies in the second condition; if this is not possible, then G cannot be converted into an OWL 1.1 ontology. If x is not a blank node, then set OP(x), DP(x), DRANGE(x), and DESC(x) to x. For each triple pattern from the first column of Table 4 occurring in G, set OP(x) to the object property expression from the second column. For each triple pattern from the first column of Table 5 occurring in G, set DRANGE(x) to the data range from the second column. For each tiple pattern from the first column of Table 6 occurring G, set DESC(x) to the description from the second column. If there is more than one way of assigning a value to any one of these functions, then G cannot be translated into an OWL 1.1 ontology. Also, if the value of one of these functions is not defined for some node occurring in the functional-style syntax encoding, then G cannot be translated into an OWL 1.1 ontology. The ontology O, corresponding to the set of RDF triples G, is the samllest set containing the axioms occurring in the second column of Table 7 for each triple pattern from the first column. The result is the axiom obtained by matching the triple pattern s p o. If G contains some triple that is not matched by any triple pattern (including the patterns used to define Type(x)), then G cannot be translated into an OWL 1.1 ontology. OWL 1.1 Web Ontology Language: Structural Specification and Functional-Style Syntax . Peter F. Patel-Schneider, Ian Horrocks, and Boris Motik, eds., 2006. OWL 1.1 Web Ontology Language: Model-Theoretic Semantics . Bernardo Cuenca Grau and Boris Motik, eds., 2006. RDF Semantics . Patrick Hayes, Editor, W3C Recommendation, 10 February 2004, http://www.w3.org/TR/2004/REC-rdf-mt-20040210/.